National Association of Travel Agents Singapore [NATAS] |: NATAS TRAVEL FAIR IS BACK! (1) Like our page and you may stand a chance to be one of the winners! 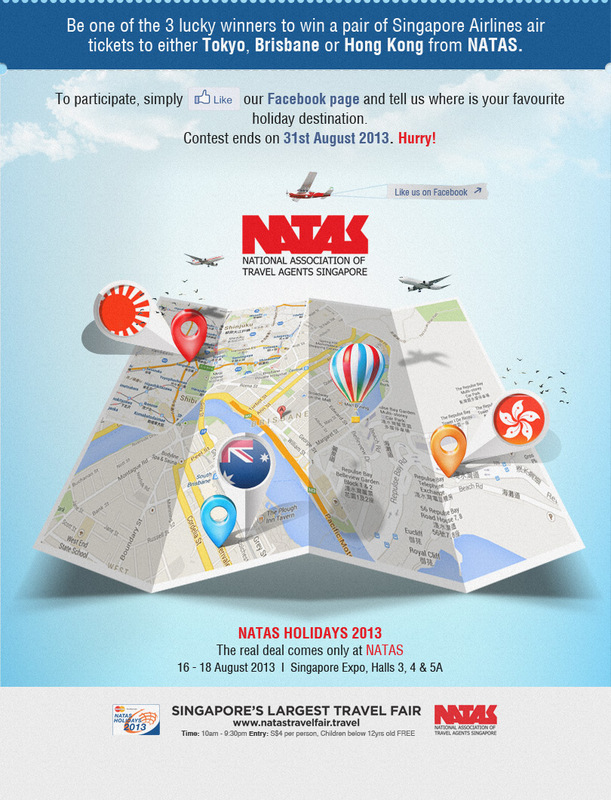 (2) Follow us at our twitter account for regular updates on NATAS HOLIDAYS 2013! (3) Visit our official NATAS HOLIDAYS 2013 website for more information on the exhibitors as well as other essential information!